Alicia joined Asia Carbon’s Shanghai Representative Office in April 2014 and provides secretarial support to the Shanghai team. Alicia speaks fluent English, Mandarin and the Shanghainese dialect. 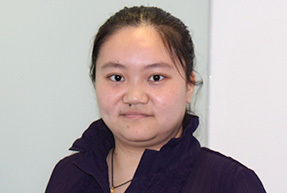 Executive SecretaryAlicia joined Asia Carbon’s Shanghai Representative Office in April 2014.